Sea salt spray for beach hair without the beach. Let’s face it: everyone loves holiday hair. The way that the seawater leaves your strands perfectly wavy, the effortless and carefree styling, and that sun-kissed look are all major perks of a beach escape. However, if you want that beachy look all year round, sea salt spray can help you fake it ’til you make it! Best for: Off-duty model waves. 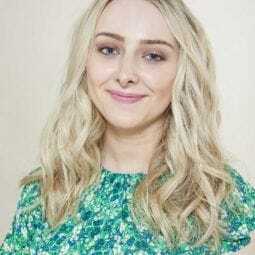 If you’re hoping to achieve lived-in, tousled waves (who isn’t?) then the TONI&GUY Sea Salt Texturising Spray will be your new hair BFF. With a light and flexible hold, it’s the ideal salt hair spray for enhancing natural movement for messy curls that don’t look too over-styled or perfect. Is your hair naturally poker straight with no curl to it? That’s okay, you can fake your way to tousled tresses with our beachy waves how-to. Waves aside, did you know that there’s actually another valuable mane benefit to using a sea salt spray? Hair that’s slippery and freshly-washed or just naturally fine tends to be trickier to style because it’s so soft. But sea salt spray can help with this! 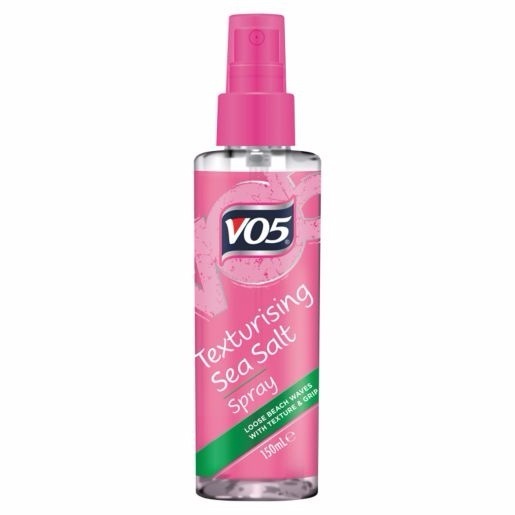 The versatile VO5 Texturising Sea Salt Spray is amazing for adding grip and texture to the hair, use this texture-creating product in a number of different styles, including summer’s favourite braids. Your braids will be easier to weave and also more likely to stay put. Are your braid skills lacking? Head on over to our dedicated braids page for all the #braidspo, from sporty boxer braids to the showstopping waterfall braid. Best for: Adding body to limp lengths. If you’ve got fine tresses (or even thick hair that gets weighed down easily), the TIGI Catwalk Salt Spray will change the way you style your mane forever – no exaggeration. To be used on either damp or dry hair, just a quick spritz through the lengths is all that’s needed to instantly transform limp locks, providing maximum volume. The result? A full, revived mane with a whole new lease of life! As a bonus, it’s also formulated to prevent frizz, so you’ll have the perfect amount of messiness without it looking wild. Tackle flat hair with more of our fine hair hacks, here. Jet off now with these beach hairstyles! Here's why you need to try an anti-frizz spray, pronto!